The U.S. Department of Justice announced today that DaVita Healthcare Partners, Inc. (“DaVita”) has agreed to pay nearly $400 million to resolve allegations that it violated the False Claims Act by paying kickbacks to induce the referral of patients to its dialysis clinics. DaVita is headquartered in Denver, Colorado and is one of the leading providers of dialysis services in the United States with dialysis clinics across 46 states and the District of Columbia. DaVita had allegedly identified physicians or physician groups that had significant patient populations suffering from renal disease and offered them lucrative opportunities to partner with the company by acquiring or selling an interest in the dialysis clinics to which their patients would be referred to for treatment. DaVita also allegedly ensured referrals of these patients to the clinics using a series of secondary agreements with the physicians. United States ex rel. David Barbetta v. DaVita, Inc. et al. was filed under the qui tam provisions of the False Claims Act by David Barbetta, who was previously employed by DaVita as a Senior Financial Analyst in the company’s mergers and acquisitions department. The government subsequently elected to intervene in the case and specifically alleged that DaVita used a three part joint venture business model in order to induce patient referrals. 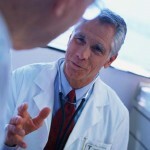 After identifying physicians or physician groups that had significant patient populations suffering renal disease within a defined geographic area, the company would gather more specific information from a number of sources in order to determine if the physicians or physician group would be considered a “winning practice.” In one transaction, a physician’s group was deemed to qualify as a “winning practice” because the physicians were “young and in debt.” Based on this careful vetting process, DaVita expected that many of the physicians’ patients would be referred to the joint venture dialysis clinics. The company would then offer the targeted physician or physician group an opportunity to enter into a lucrative joint venture allowing DaVita to acquire an interest in the dialysis clinics owned by the physicians. Alternatively, DaVita would offer to sell an interest in its own dialysis clinics to the targeted physicians. To make the transaction financially attractive to potential physician partners, DaVita would manipulate the financial models used to value the transaction. For example, to decrease the apparent value of clinics it was selling, DaVita would employ an assumption that it referred to as the “HIPPER compression,” which was based on a speculative and arbitrary projection that future payments for dialysis treatments would soon be cut by commercial insurance companies. Such a manipulation led to the physicians paying less than fair market value for the interest in the joint venture and thereby realizing significant returns on investment—with pre-tax annual returns exceeding 100% in some cases. Finally, to ensure future patient referrals, DaVita entered into a series of secondary agreements with their physician partners. The secondary agreements included employment agreements where physicians were paid to serve as medical directors of the joint venture clinics and non-compete agreements that bound all physicians in a practice group, even if some of the physicians were not part of the joint venture arrangements. These agreements also included provisions prohibiting the physician partners from advising a patient to seek treatment at a different dialysis clinic. DaVita would not enter into a joint venture absent one or more secondary agreements. The settlement resolves allegations of conduct occurring between March 1, 2005 and February 1, 2014 and involves 26 of DaVita’s 2,119 clinics nationwide. Of the $400 million settlement, $350 million will be paid by the company to settle criminal allegations that it violated the False Claims Act, $39 million will stem from a civil forfeiture connected to two specific joint venture transactions entered into in Denver, and $11.5 million will be paid to settle related state false claims act charges. Mr. Barbetta’s share of this recovery has not yet been determined. Additionally, DaVita has agreed to enter into a Corporate Integrity Agreement with the Inspector General of the Department of Health and Human Services. The agreement requires the company to unwind some of its business arrangements and to restructure others, and includes the appointment of an Independent Monitor to review DaVita’s arrangements with nephrologists and other health care providers going forward in order to ensure compliance with the Anti-Kickback Statute. Since January 2009, the Justice Department has recovered a total of more than $22.4 billion in judgments and settlements under the False Claims Act, with more than $14.2 billion of that amount attributable to cases involving fraud against federal health care programs.